Feb. 18, Elizabethtown College alumnus Jon Bachman, ‘17, returned to Elizabethtown College to speak to current students about his career as an aquatic biologist with the Pennsylvania Department of Environmental Protection (PA DEP). Bachman is part of a team researching and working to increase awareness of arboviruses. Arboviruses are viruses that are transmitted by mosquitoes, ticks or other arthropods. Bachman and his colleagues work to protect people from tick and mosquito-borne pathogens, most prominently West Nile Virus (WNV), and more recently, Lyme disease. 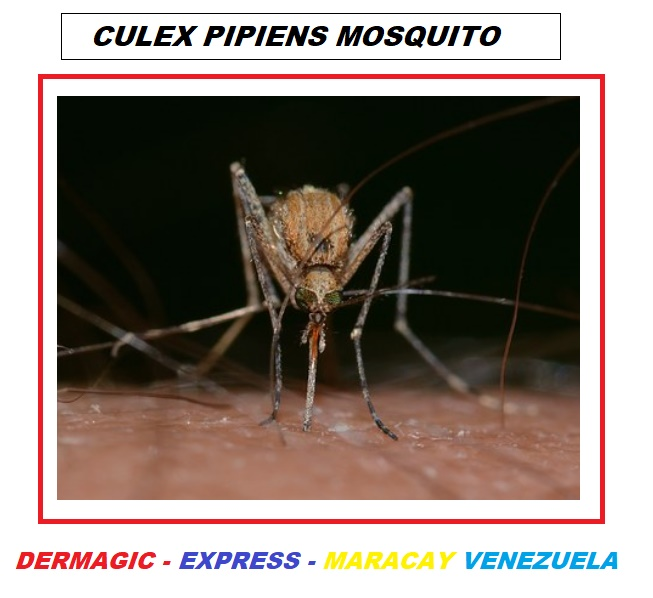 The DEP is studying WNV and the mosquitoes that carry it, which according to Vector Disease Control International, are primarily Culex pipiens, Culex tarsalis, and Culex quinquefasciatus. Bachman and his team look at mosquito habitat so larvae can be suppressed and killed. They also set traps so when a female mosquito lays eggs in their trap they are able to collect the samples. They then smash the eggs and conduct polymerase chain reaction (PCR) on the DNA in them. PCR is a process that can make many copies of specific DNA strands. By replicating the DNA they are able to see if the virus is carried by the eggs they collected. Based on where large traces of the West Nile Virus is found the team determines where they’re going to spray for adult mosquitoes in order to prevent the spread of the virus. This past year has had the most WNV positive mosquitoes. There were 7,500 positive samples, which was much higher than previous years. The second highest positives found in a year was in 2012 when around 6,000 positive samples were found. Some important information about the disease Bachman shared was that WNV is not spread between people—birds are the reservoir species for the virus, meaning that the mosquitoes must first get it from birds before they can transmit it to any humans. Another distinction is that the mosquitoes which often carry West Nile Virus are not the large groups of mosquitoes people encounter. Those are typically the inland floodwater species of mosquito, or Aedes vexans. Floodwater mosquito eggs often hatch all at once because the adult female mosquito lays eggs that dry out and don’t hatch until they get wet. On years with large amounts of flooding, such as this year, all the eggs get wet and all hatch at same time. There are 62 species of Mosquitoes in Pennsylvania, but the vast majority do not carry West Nile Virus. This year, Bachman’s team has begun to do research on Ixodes scapularis, more commonly known as the deer tick, because of the Lyme disease they carry. Pennsylvania is the worst state for Lyme disease almost, if not every, year. For this reason, the DEP’s research is being funded by the Center for Disease Control (CDC) through the Department of Health. Bachman’s team is trying to find 50 adult deer ticks in each county in Pennsylvania to determine the rate of Lyme disease for each region of the state. According to Bachman, it takes a lot of work to catch 50 ticks.They have to look at three different sites and so they try to pick sites they know people will be at. Bachman said he has the most luck along the edges of soccer fields with woodlines. Each search is different, as well. Bachman spent six days in Fulton County, PA and was unable to catch a single tick, and yet in the next county over, Bedford County, he was able to catch over 100 ticks in half an hour. 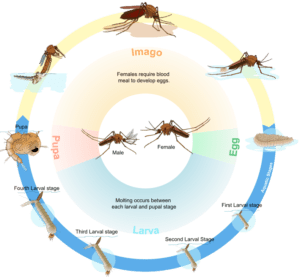 To determine the best ways to control West Nile Virus and Lyme disease, he and his peers need to understand the habitats and life cycles of the organisms that spread the illnesses. Bachman was an environmental science major with a minor in political science. While his career is much more focussed on ideas from environmental science Bachman found his minor helpful to learn and understand environmental law and regulations. Moreover, his political science minor taught Bachman more about public speaking, which is important as part of his career is to work with representatives of different countries who come to him for advice regarding mosquitoes and ticks. While at Etown, Bachman was involved with the SEEDS Ecology Club. He was the club’s treasurer his senior year, which was the first year that the College had a chapter of the nationwide program. Bachman also has a U.S. Army background as he was a member of the Army from 2005 to 2012. He first worked as an Infantry man and later he worked with hazardous materials, or hazmat. This work in the Army with hazmat led Bachman to the job he held prior to his position with the DEP, which was a job as the hazmat supervisor at a Harley Davidson in York, PA.
One piece of advice Bachman had for students in regards to finding jobs after college is to study the jobs they are applying for closely. “Look into every detail of a job before you go to an interview,” Bachman said. Bachman recommends students learn about as many fields as they can, and make themselves well rounded in preparation for finding a career. Wisconsin has cases of West Nile, La Crosse Virus, & Jamestown Canyon Virus. Wisconsin is 4th in the nation for Lyme disease. The CDC says the cases are hugely underestimated – more like 30,000 cases per year in WI. WI is a hotspot for newly emerging TBI – Anaplasma, Ehrlichia muris, borrelia miyamotoi (relapsing fever), Babesia divergens (in Michigan but Dr. Paskowitz feels it’s probably here too). Anaplasma seeing 400-600 cases a year in WI. Again, much underreporting. 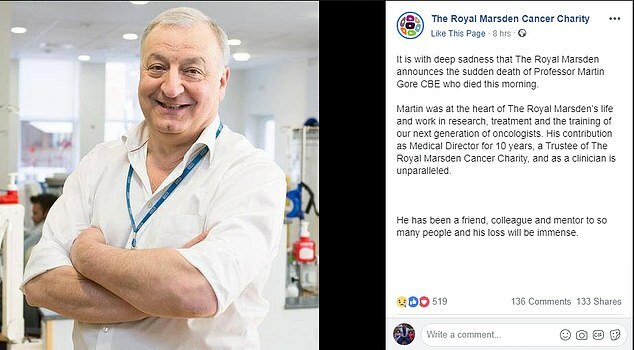 ‘He has been a friend, colleague and mentor to so many people and his loss will be immense. Are Mosquitoes Transmitting Lyme Disease? ARE THE MOSQUITOES INVOLVED IN THE TRANSMISSION OF LYME DISEASE? A few years after the discovery of the Borrelia Burgorferi in 1981 by Willy Burgdorfer, some scientists began to suspect that mosquitoes and other insects could be involved in the spread of Lyme borreliosis; and specifically in 1985-1987 studies began to appear on this subject, some controversial, others more convincing of the fact that mosquitoes that feed on blood from animals contaminated with Borrelia, could be vectors of the disease and contribute to the epidemic that attacks the whole world today by this spirochete. Ticks are always spoken of as the only and great vector, but today I bring you some references that will make you think that there is something “hidden” and perhaps not revealed about Lyme Borreliosis: mosquitoes as transmitting vectors. Historically in the year 1961 Robert J.A. I first proved the experimental transmission of Borrelia, in this case Borrelia anserina, (discovered by Saknarof in the year 1891) by the hematophagous insect Aedes aegypti in geese of the Caucasus, since then it has been isolated from the blood of infected geese, turkeys, ducks, fowls, partridges, crows and sparrows from all parts of Africa, Australia, Austria, Bulgaria, Brazil, Egypt, East Indies, Germany, Greece, Hungary, India, the U.S.S.R., Rumania and Turkey. In 1985 Dolby et al. published in France a work of 4 Chronic Erythema Migrans (ECM) cases, where only 1 could be checked the sting by ticks, and raise the possibility that the transmission could have been by mosquitoes and flies (horseflies, tabanid). In 1987 Magnareli et al. conducted a study in Connecticut, United States collecting mosquitoes, horse flies and deer flies, in total 18 species, which were tested for Borrelia Burgdorferi finding a percentage of positivity that varied between 2.9 and 14.3% for blood-sucking insects. They also placed in cages insects with hamsters not contaminated with Borrelia; 11 species of females contaminated with Borrelia Burgdorferi fed on the blood of the hamsters. The spirochete was not found in the hamsters, but one of them presented positive titers of anti-Borrelia antibodies. From these years they continued publishing works in relation to this subject where it is demonstrated that in a low percentage the Borrelia Burgdorferi can be transmitted by mosquitoes, horse flies, deer flies, and others. It is important to note that most of the studies were conducted in Europe, being perhaps the most relevant those made in the Czech Republic, where among them, in one study 5% of the mosquitoes studied were shown contaminated with spirochetes and one of them corresponded to the strain (BR-84) identified as Borrelia Afzelii. Another detail to highlight is that the CDC does not mention these blood-sucking insects as a possible transmitter of Lyme borreliosis, which, although being low in the percentage shown in the studies, could be a factor in the spread of this disease by the world. Here I leave the bibliographical references that prove these facts and in the attach one of the species of mosquitoes in which the Borrelia Burgdorferi was found. 2.) Magnarelli LA1, Anderson JF. Ticks and biting insects infected with the etiologic agent of Lyme disease, Borrelia burgdorferi. J Clin Microbiol. 1988 Aug;26(8):1482-6. 3.) J.H. (Han) van der Kolk. Borrelia burgdorferi seeks vectors. Page 119 | Taylor and Francsi online. Published online: 15 Dec 2014. 15.) Hubálek Z1, Halouzka J, Juricová Z. Investigation of haematophagous arthropods for borreliae–summarized data, 1988-1996. Folia Parasitol (Praha). 1998;45(1):67-72. 17.) Zákovská A1, Nejedla P, Holíková A, Dendis M. Positive findings of Borrelia burgdorferi in Culex (Culex) pipiens pipiens larvae in the surrounding of Brno city determined by the PCR method. Ann Agric Environ Med. 2002;9(2):257-9. 18.) Kosik-Bogacka D1, Bukowska K, Kuźna-Grygiel W. Detection of Borrelia burgdorferi sensu lato in mosquitoes (Culicidae) in recreational areas of the city of Szczecin. Ann Agric Environ Med. 2002;9(1):55-7. 19.) Kosik-Bogacka D1, Kuźna-Grygiel W, Bukowska K. The prevalence of spirochete Borrelia burgdorferi sensu lato in ticks Ixodes ricinus and mosquitoes Aedes spp. within a selected recreational area in the city of Szczecin. Ann Agric Environ Med. 2004;11(1):105-8. 20.) Zákovská A1, Capková L, Serý O, Halouzka J, Dendis M. Isolation of Borrelia afzelii from overwintering Culex pipiens biotype molestus mosquitoes. Ann Agric Environ Med. 2006;13(2):345-8. 21.) Kosik-Bogacka DI1, Kuźna-Grygiel W, Górnik K. Borrelia burgdorferi sensu lato infection in mosquitoes from Szczecin area. Folia Biol (Krakow). 2006;54(1-2):55-9. 23.) Nejedla P1, Norek A, Vostal K, Zakovska A. What is the percentage of pathogenic borreliae in spirochaetal findings of mosquito larvae? Ann Agric Environ Med. 2009;16(2):273-6. 25.) Sikutová S1, Halouzka J, Mendel J, Knoz J, Rudolf I. Novel spirochetes isolated from mosquitoes and black flies in the Czech Republic. J Vector Ecol. 2010 Jun;35(1):50-5. doi: 10.1111/j.1948-7134.2010.00027.x. 26.) Melaun C1, Zotzmann S1, Santaella VG1, Werblow A1, Zumkowski-Xylander H2, Kraiczy P3, Klimpel S4. Occurrence of Borrelia burgdorferi s.l. in different genera of mosquitoes (Culicidae) in Central Europe. Ticks Tick Borne Dis. 2016 Mar;7(2):256-63. doi: 10.1016/j.ttbdis.2015.10.018. Epub 2015 Nov 12. Mosquito-borne diseases are common high-impact diseases in tropical and subtropical areas. 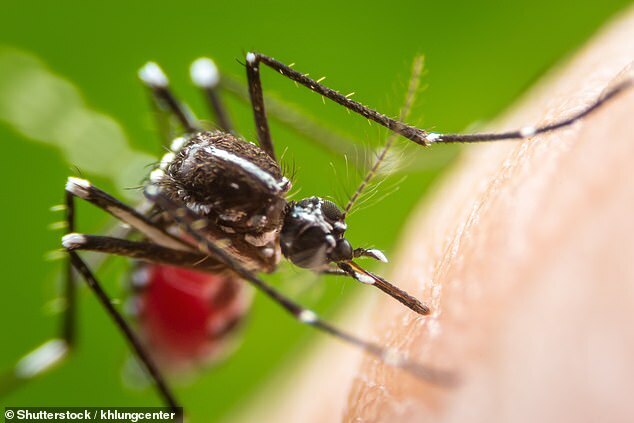 However, other non-mosquito vector-borne pathogens (VBPs) may share their geographic distribution, seasonality, and clinical manifestations, thereby contributing their share to the morbidity and mortality caused by febrile illnesses in these regions. The purpose of this work was to collect and review existing information and identify knowledge gaps about tick, flea-, and louse-borne diseases of veterinary and public health significance in Nigeria. Full-length articles about VBPs were reviewed and relevant information about the vectors, their hosts, geographic distribution, seasonality, and association(s) with human or veterinary diseases was extracted. Specific laboratory tools used for detection and identification of VBPs in Nigeria were also identified. A total of 62 original publications were examined. Substantial information about the prevalence and impacts of ticks and fleas on pet and service dogs (18 articles), and livestock animals (23 articles) were available; however, information about their association with and potential for causing human illnesses was largely absent despite the zoonotic nature of many of these peri-domestic veterinary diseases. Recent publications that employed molecular methods of detection demonstrated the occurrence of several classic (Ehrlichia canis, Rickettsia africae, Bartonella sp.) and emerging human pathogens (R. aeschlimannii, Neoehrlichia mikurensis) in ticks and fleas. However, information about other pathogens often found in association with ticks (R. conorii) and fleas (R. typhi, R. felis) across the African continent was lacking. Records of louse-borne epidemic typhus in Nigeria date to 1947; however, its current status is not known. This review provides an essential baseline summary of the current knowledge in Nigeria of non-mosquito VBPs, and should stimulate improvements in the surveillance of the veterinary and human diseases they cause in Nigeria. Due to increasing recognition of these diseases in other African countries, veterinary and public health professionals in Nigeria should expand the list of possible diseases considered in patients presenting with fever of unknown etiology. I find it increasingly interesting that everyone’s picking up Bartonella, yet it’s hardly on the radar here despite thousands of Lyme/MSIDS patients having symptoms of it. Bartonella is a tough pathogen & can be the guy behind so many psychiatric issues as well as heart issues. We need to know for certain ticks can transmit it because if they don’t, either the tick bite itself is reactivating a latent infection or we are coming by it another way. One thing’s for certain: it needs to be dealt with on the research front as well as on the medical front. Due to extensive contact with a spectrum of animal species, veterinary professionals appear to have an occupational risk of infection because of frequent exposure to Bartonella spp., therefore these individuals should exercise increased precautions to avoid arthropod bites, arthropod feces (i.e. fleas and lice), animal bites or scratches and direct contact with bodily fluids from sick animals. As Bartonella spp. have been isolated from cat, dog or human blood, cerebrospinal fluid, joint fluid,aqueous fluid, seroma fluid and from pleural, pericardial and abdominal effusions, a substantial number of diagnostic biological samples collected on a daily basis in veterinary practices could contain viable bacteria. The increasing number of defined Bartonella spp., in conjunction with the high level of bacteremia found in reservoir adapted hosts, which represent the veterinary patient population, ensures that all veterinary professionals will experience frequent and repeated exposure to animals harboring these bacteria. Therefore, personal protective equipment, frequent hand washing and avoiding cuts and needle sticks have become more important as our knowledge of this genus has improved and various modes of transmission have been defined. Physicians should be educated as to the large number of Bartonella spp. in nature, the extensive spectrum of animal reservoir hosts, the diversity of confirmed and potential arthropod vectors, current limitations associated with diagnosis and treatment efficacy, and the ecological and evolving medical complexity of these highly evolved intravascular, endotheliotropic bacteria. Genetic engineering (GE) is being used in myriad ways these days, despite the fact we know very little about the long-term ramifications of such meddling in the natural order. For example, the Defense Advanced Research Projects Agency (DARPA), an arm of the U.S. Department of Defense, is now planning to use insects to deliver GE viruses to crops, with the aim of altering the plant’s genetic traits in the field. “Recent advances in gene editing, including the relatively cheap and simple system known as CRISPR (for clustered regularly interspaced palindromic repeats), could potentially allow researchers to customize viruses to achieve a specific goal in the infected plant. The opinion paper6 “Agricultural Research, or a New Bioweapon System?” published October 4, 2018, in the journal Science questions DARPA’s Insect Allies project, saying it could be perceived as a threat by the international community, and that if plant modification were really the ultimate goal, a far simpler agricultural delivery system could be used. “The social, ethical, political and ecological implications of producing HEGAAs [horizontal environmental genetic alteration agents] are significant and worthy of the same level of attention as exploring the science underpinning the potential technology. The authors argue persuasively that specifying insects as the preferred delivery mechanism for HEGAAs is poorly justified by visions of agricultural applications. “[S]prayed treatments are impractical for introducing protective traits on a large scale and potentially infeasible if the spraying technology cannot access the necessary plant tissues with specificity, which is a known problem. Scientists from the U.S. Department of Agriculture are also participating in the research, which is currently restricted to contained laboratories. Still, many are unconvinced by DARPA’s claims of peaceful aims. Others are concerned about environmental ramifications, regardless of whether the genetic traits being delivered to the plants are perceived as beneficial or harmful. According to DARPA, none of the insects would be able to survive for more than two weeks, but what if such guarantees fail? What if nature finds a way? If so, the insects’ spread could be near-unlimited. Gregory Kaebnick, an ethicist at the Hastings Center bioethics research institute in Garrison, New York, told the AP he’s concerned the project may end up causing unforeseen environmental destruction, as insects will be virtually impossible to eradicate once released. If it turns out the genetic modification traits they carry are harmful, there will be no going back. Yet others, such as Fred Gould, an entomologist at North Carolina State University who chaired a National Academy of Sciences panel on genetically modified food, believe the project’s stated goal of altering genetic traits of plants via insects is near-impossible in the first place. Reeves questions why there’s been virtually no open scientific debate about the technology. According to Reeves, who is an expert on GE insects, the Insect Allies project is “largely unknown even in expert circles,” which in and of itself raises a red flag about its true intent. “Interest in genetically modified viruses, including HEGAAs, largely stems from their rapid speed of action, as infections can sweep quickly through target populations. This same property is also a serious safety concern, in that it makes it hard to predict where viruses geographically disperse to or what species they eventually infect. The team also notes the use of HEGAAs are ultimately not likely to be limited to agriculture, which is why it’s so important to have an open discussion about the technology, its potential uses, misuses and ramifications — including unintended ones. In 2018, three scientific publications discussed the development of “transmissible vaccines,” i.e., vaccines that would be transmissible between humans and therefore would no longer require individual vaccinations. Such products would also remove any possibility of informed consent, which creates a really huge ethical dilemma. In the past decade, at least seven scientific papers have focused on transmissible vaccines. The team also brings up the obvious point that insects will not be able to distinguish between conventional crops and certified organic crops, which do not permit genetic engineering. Just how are organic farmers to keep these insect vectors from altering their crops? They can’t, and this could effectively destroy the organic industry as we know it. The Science team also call for greater transparency from DARPA in order to discourage other countries from following suit and developing similar delivery technologies as a defensive measure. In related news, Simon Terry, executive director of the Sustainability Council of New Zealand, is calling for gene drive technology to be brought under international governance,15,16,17 as this kind of technology can make an entire species infertile in a relatively short amount of time, depending on the species life cycle. Gene drive is yet another application for CRISPR. In short, it’s a genetic engineering technology that allows you to propagate a specific set of genes throughout an entire population, including its offspring, which allows you to genetically alter the future of an entire species. Gene drive has been proposed as a means to control pests, including mosquitoes and possum. However, there’s no known way to control it. As an example, while New Zealand would like to use gene drive to eradicate possums, it would be virtually impossible to prevent the spread of the gene drive to other areas, and in Australia, the possum is a protected species. Gene drive has also been considered as an answer for barnyard grass, a pesky weed among Australian farmers, but a prized commodity in India. Likewise, Palmer Amaranth is considered a weed in the U.S. but an important food source in Central America, Africa, India and China. As noted by Terry, “One man’s pest could be another’s desired plant or animal,” and creating national regulations for a technology that can wipe out an entire species globally simply isn’t enough. Should We Use Technology That Can Eradicate Entire Species? To what extent might crossbreeding or horizontal gene transfer allow a drive to move beyond target populations? For how long might horizontal gene transfer allow a drive to move beyond target populations? Is it possible for a gene drive to evolve to regain drive capabilities in a nontarget population? “When these females bite animals including humans, there is indeed the possibility of horizontal gene transfer of parts, or the entire gene-drive construct, with potentially serious effects on animal and human health. [B]ecause the CRISPR/Cas gene drive remains fully functional in the mutated strain after it is created, the chance of off-target mutations also remain and the likelihood increases with every generation. “I don’t understand the level of concern raised in this paper, and to jump ahead and accuse DARPA of using this as a screen to develop biological weapons is outrageous. Unfortunately, recent history demonstrates we’ve not been very capable of managing these kinds of man-made risks very well at all. Just look at Roundup-resistant GMO food, for example, or electromagnetic field radiation from cellphones and wireless technologies, both of which have been shown to cause significant health and environmental problems since their inception. There’s virtually no evidence to suggest mankind is very good at predicting the potential outcomes of our technological advancements, so unleashing gene-altering technologies that cannot be recalled or reversed seems foolish in the extreme. As mentioned, the Insect Allies project may be particularly detrimental for organic and biodynamic farming, as it would be completely impossible to prevent these gene-altering insect vectors from infecting organic crops. I’ve been writing about this for some time and am very concerned about the law of unintended consequences with this technology. Please share this information far and wide because if we don’t, we could find ourselves precisely in the same situation we are in with vaccines (little to no safety studies and serious health ramifications – more coming out daily). Numerous studies show unexpected insertions and deletions which can translate into possible toxins, allergens, carcinogens, and other changes. Science can not predict the real-life consequences on global pattens of gene function. “It means for all the new inventions … you would need to go through the lengthy approval process of the European Union,” Kai Purnhagen, an expert at Wageningen University in the Netherlands, told Nature. A North Carolina mother is warning other parents about the dangers of mosquitos after her son contracted the rare disease, La Crosse encephalitis (LACV), from a mosquito bite. La Crosse encephalitis is a virus that is contracted through bites from infected mosquitos and can cause the person who was bitten to develop the severe neuroinvasive disease, which affects the nervous system, according to the Center for Disease Control and Prevention (CDC). The ordeal began when Noah experienced severe headaches before going to stay with his grandma. The next morning, his grandma called 911 when he simply wasn’t acting right. His lips turned blue and he began having seizures while the EMTs were checking on him. After a week in the hospital, Noah was allowed to return home and LoriAnne said on Todaythat there were times that she wasn’t sure if he would make it out of the hospital alive. Some people who become infected with LACV show no symptoms at all while others experience fever, headache, nausea, vomiting and tiredness, according to the CDC. 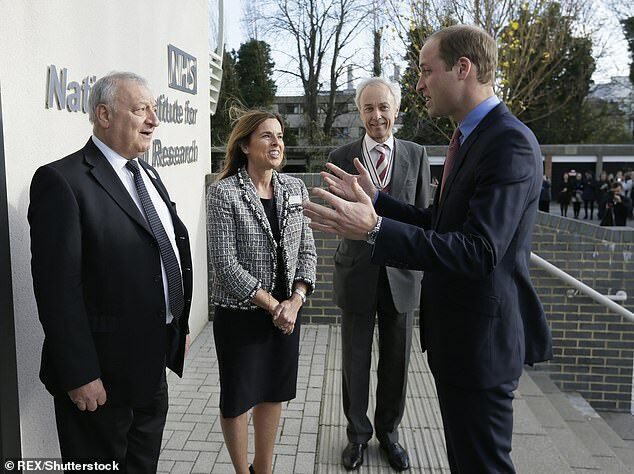 “Encephalitis” means inflammation of the brain and can cause seizures, coma and paralysis. While anyone is susceptible to developing the disease, severe cases are often found in children who are under the age of 16. The incubation period for LACV ranges from five to 15 days and though seizures are a serious side effect, the CDC explained that less than 1 percent of cases are fatal, and most patients recover fully. Treatment for LACV is done on a case by case basis dependent on the symptoms the person is experiencing, according to the CDC. Many cases of LACV that have been reported are from the upper Midwestern states, though there has been an increase in reported cases in the mid-Atlantic and southeastern states. On average, 70 cases are reported each year in the United States. To prevent the contraction of LACV, the CDC encouraged people who are going to be outside to wear insect repellent, long sleeves, pants and socks. LoriAnne concluded her message on Facebook with a plea to other parents to use bug spray and check for bites. While it’s not 100 percent preventable, as someone who has experienced the disease herself, she said, “do what you can to try” to prevent your child from going through the same thing. For more on La Cross Encephalitis: https://www.dhs.wisconsin.gov/arboviral/californiaserogroup.htm Wisconsin has an average of 10 cases a year. https://madisonarealymesupportgroup.com/2018/03/13/wed-nite-the-lab-talk-on-mosquitoes-ticks-disease/ Wisconsin has cases of West Nile, La Crosse Virus, and Jamestown Canyon Virus – which has increased in humans – they don’t know why.